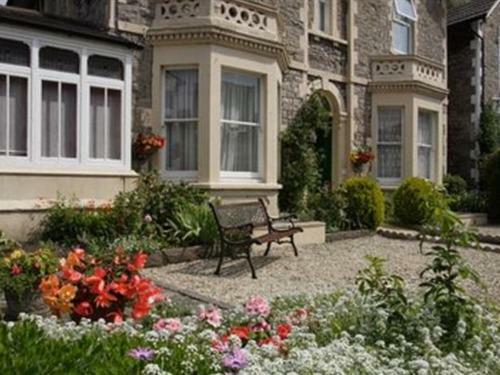 Grove Lodge guest house is located a 5-minute stroll from Weston-Super-Mare beach and just 4 minutes’ walk from the town centre. It boasts en suite accommodation with free Wi-Fi and a cooked breakfast is included. Our famous two miles of sandy beach and the long level promenade, the varied attractions including the new Grand Pier, Seaquarium, Leisure Complex, tranquil parks and garden, pedestrianised shopping centre, two 18 hole golf courses, tennis, putting, amusements and of course the famous donkeys ensure a full and fun day out. Each bright and airy room comes with a TV and refreshments tray. All our bedrooms have en-suite facilities with colour televisions and hostess trays. All rooms are tastefully decorated and furnished to a high standard, ensuring you a comfortable stay. Guests at Grove Lodge are just an 8-minute walk from the town’s Grand Pier and a 5-minute drive from Weston-Super-Mare’s seafront golf course. For those aiming to explore this area of Somerset, the famous caverns at Wookey Hole are 45 minutes away by car and Bristol Zoo is a 35-minute drive. Grove Lodge is just 15 minutes’ drive from the M5, making the Devon and Cornwall more accessible for the adventurous guest. Perfect for what we wanted for an overnight stay travelling on to Cornwall. Reasonably priced accommodation. Owners were very friendly and helpful. Having a child with special dietary needs was not a problem and the owner was most helpful in ensuring breakfast was available. Rooms were comfortable and clean.